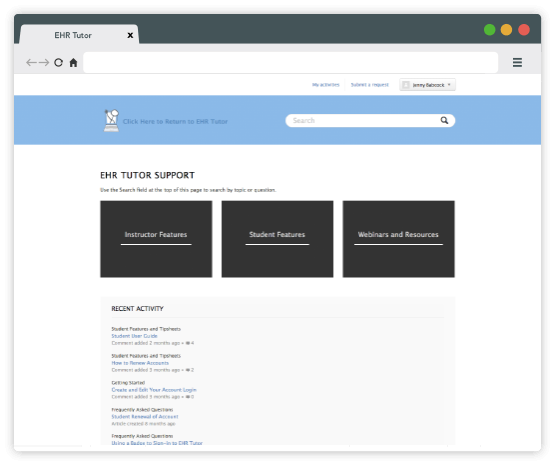 EHR Tutor allows your students to chart electronically for simulations, clinicals, and the classroom. 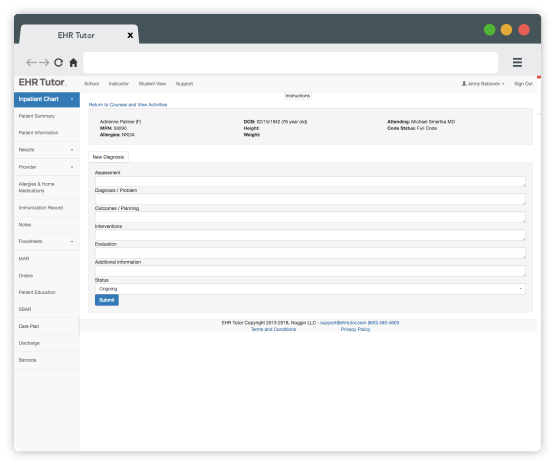 With EHR Tutor, you can build your own patient scenarios from the ground up or start customizing by editing one of our pre-built patients. Our web-based systems allows for maximum accessibility and works on any computer, tablet or smartphone. It is compatible with all major operating systems and browsers. Barcode scanning functionality included-- all you need is a standard barcode scanner! 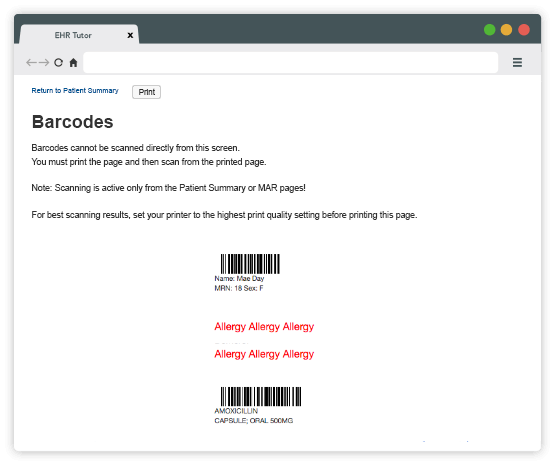 Barcodes are automatically generated based on patient orders and can be printed from a traditional printer. Add and remove orders at any time. Use barcodes on Pocket Nurse® Demo Dose® medications or Wallcur Practi-Meds for easy setup. After training, receive live support on-demand. Our support site features a robust list of video guides and tip sheets. And our pre-built learning activities and regular webinars help make implementation a breeze. With EHR Tutor, your faculty is never alone. With the Patient Chart Library, you can choose from over 100 of our pre-built patient charts or create your own. Your patient's chart is a template -- and it belongs to you! 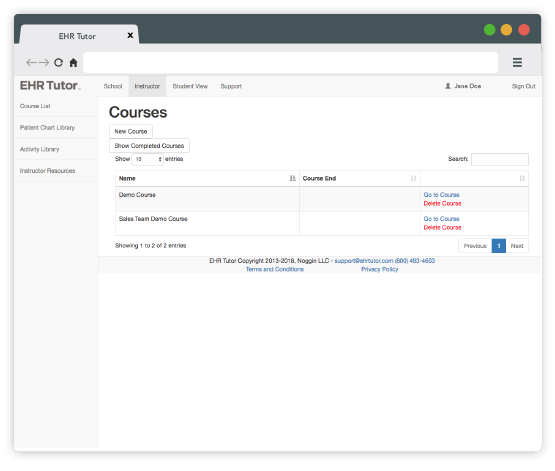 You can assign the same, clean patient chart to any number of students or classes. And since the dates on your template patients roll, you can use the same chart year after year without doing extra data entry. Learn more about charting during simulation.